Our approach is straight forward and fosters a fun, casual environment where horses and riders at every level are comfortable while having the opportunity to meet individual goals. Click here to go to our online apparel website! Offer private and semi-private lessons in our large heated arena. Our primary focus is in hunt, western, and saddle seat. We enjoy working with people at every level and maintain a relaxed attitude. 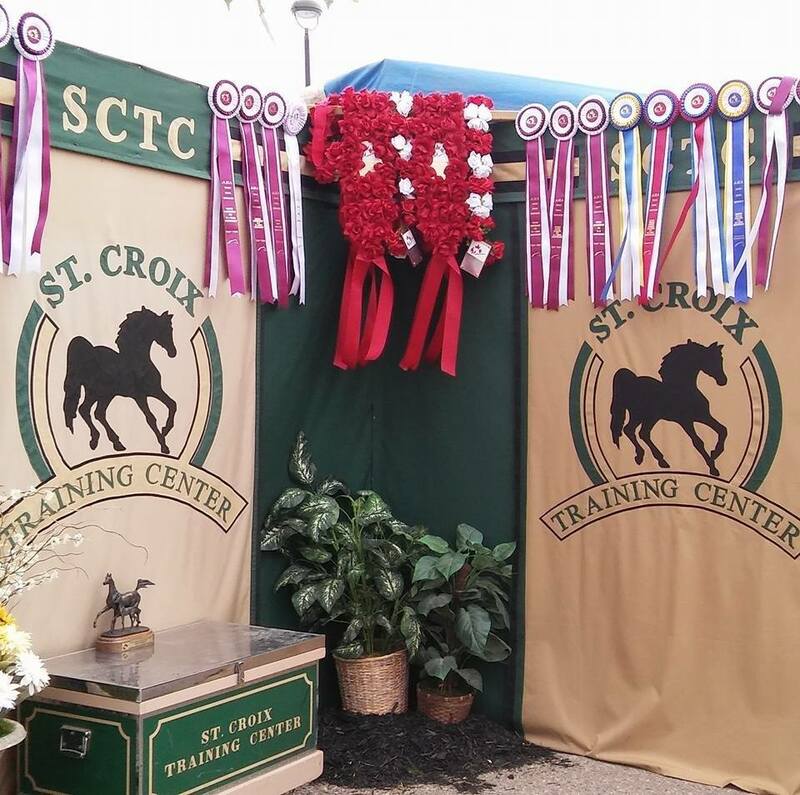 Spend a week of summer at St. Croix Training Center working with select staff. Participants will experience St. Croix’s principles of horsemanship that teach a well rounded approach to working with horses from the ground up. We primarily train Arabian horses for showing and offer full-time and part-time training in hunt seat, western, and saddleseat disciplines. We start all horses on the ground and transition them under saddle. We do everything we can to make the show experience fun and rewarding. We offer many options for those that wish to compete at the class A, regional, and national level. Whatever your goal is, we will find a way to take you there. Horses offered for sale at our farm. Always feel free to contact us for an up-to-date listing.